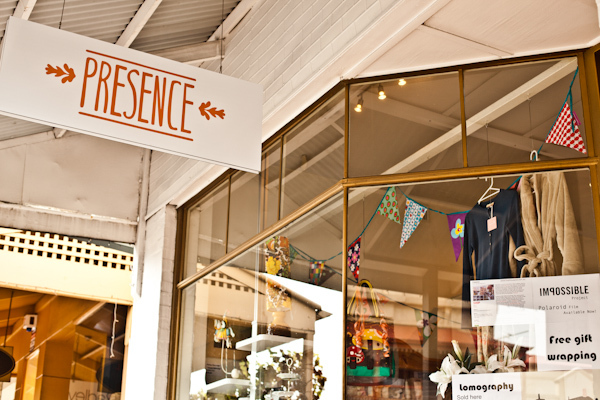 FK talks to Adelaide lady Kate Pardey about her lovely Adelaide store, Presence. Tell us a bit about Presence and the concept behind it. We’re small and independent, my mum and I have always had an overabundance of entrepreneurial spirit. Presence aims to have a gift for anyone and everyone. 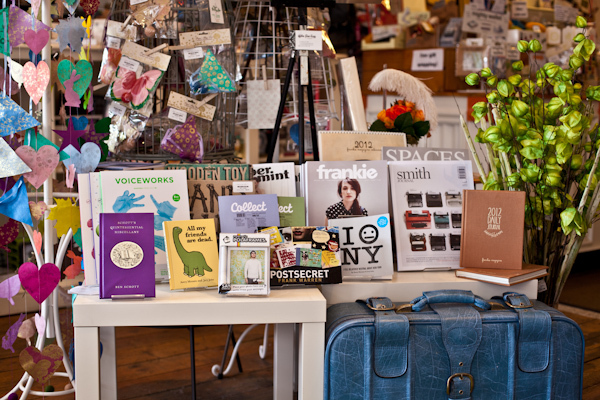 We’re committed to stocking a whole lot of local and independent designs and creations and finding quirky out of the ordinary items. We also have a large collection of analogue photographic gear. I’ve been restoring cameras for years so it was only natural the we sell, fix and love photo gear at Presence. 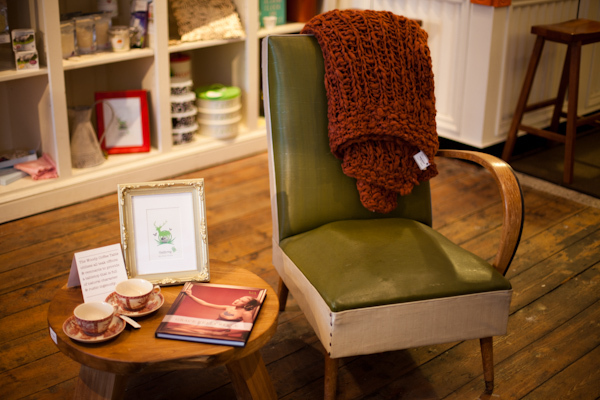 We opened the doors just before Easter this year after a flat-out week of DIY shop fit-out. Mum had owned and run a popular children’s wear shop in the Adelaide Hills for 15 years. Since then we’ve both moved down to the city and I’ve grown up, we decided it was time to make our long-discussed plan for a grown-up gift shop into reality. 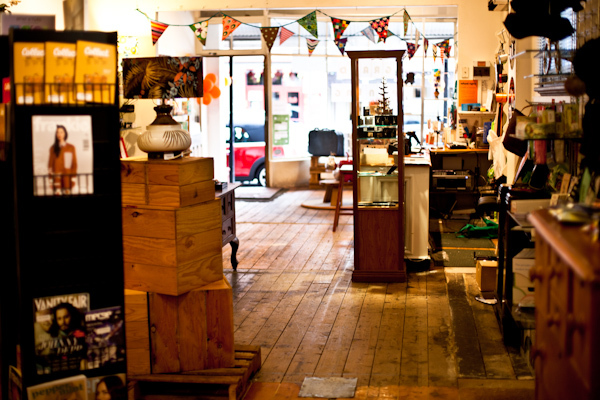 We stock an ever-changing range of gear some well know popular brands and some emerging creative’s. From our favourite magazines Collect & Frankie to Corky Saint Clair, A Skulk of Foxes and Emerald Green Submarine jewelry. Heartfelt & Lawn’s fantastic purses, hair clips and TV brooches also take pride of place. We’re pretty excited about becoming home to the Horse shoes & Obus clothing in the very near future. We also stock a range of Lomography cameras & film, Impossible Project film, and hand-restored Polaroid, 35mm and medium format cameras and typewriters! 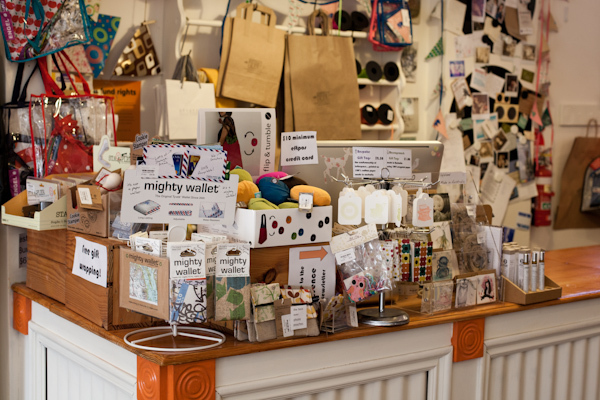 We have such a wide range of products, literally something for everyone and we do like to have a good chat with pretty much everyone who comes in! 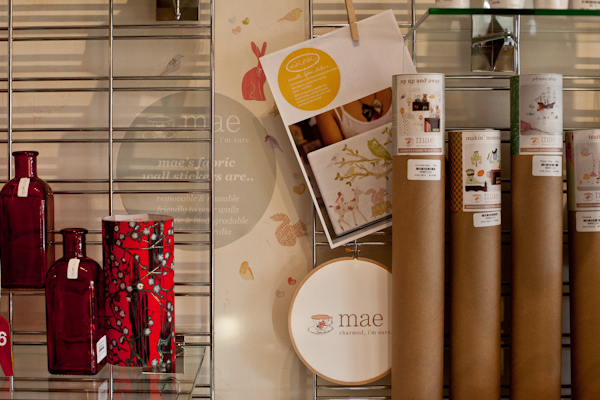 We also offer free gift-wrapping, a gift store service which has fallen by the wayside in many places lately. What has been the most successful aspect of your store? We’ve had a pretty amazing response to everything, the Polaroid camera’s especially, people get very nostalgic! I do love to listen to what people say outside the window as they’re walking past and generally it’s very lovely things. What is the design & art scene like in Adelaide? 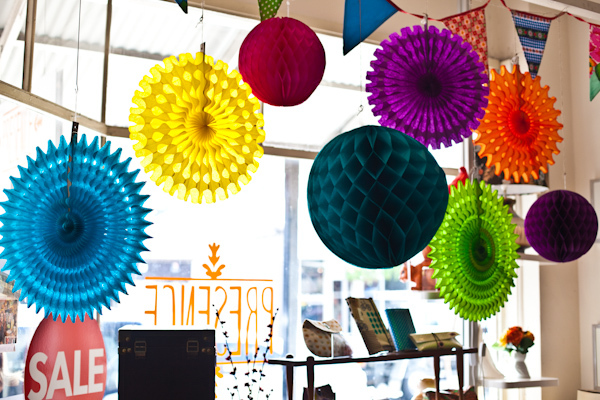 The design & art scene is always pretty buzzing in Adelaide, especially this time of year. It feels like as soon as one festival finishes, another begins! Right now the Festival of Ideas and its fringe, the Festival of Unpopular Culture has just ended, as well as the SALA festival. We’re coming up to the first WOMAD Earthstation, then Bowerbird Bazaar the on to the Adelaide Festival and the Fringe after the New Year. 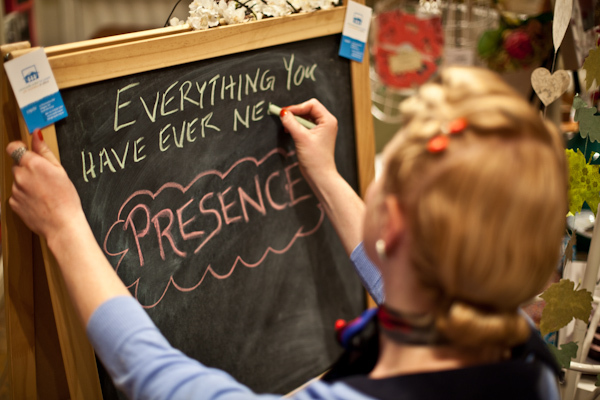 What inspires you about your surroundings and what other aspects about Adelaide do you love? I love that Adelaide is small, word of mouth travels super-quickly! 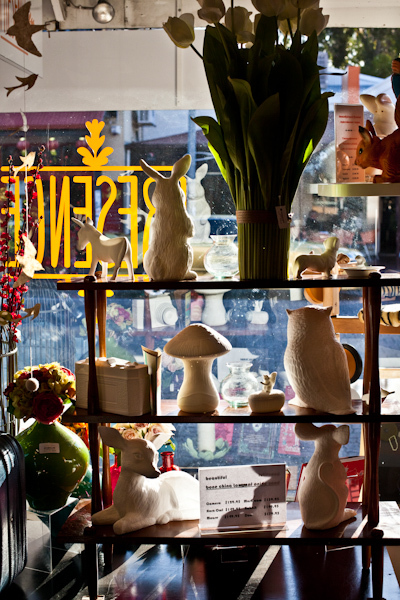 There are also so many other amazing ventures popping up all over, I’ve gotten so excited lately that I’ve started a section on our blog dedicated to unearthing other local awesomeness like E for Ethel café, Gemma Vendetta Vintage Styling, From Scratch Patisserie, The Swing Sesh (swing dancing classes!) and the very new Vintage Bride Boutique. It’s a very vibrant community to be a part of at the moment. Follow your heart but don’t forget to use you brain! Love Presence and Kate is a star! Kate has such a cool surname!